The goal of using HubSpot smart content is to create a personalized experience to those visiting your website. Providing your visitors with the right support when they visit your site or receive an email from you can be the difference in winning them over for your business. Below we have put together 6 best practices for HubSpot smart content that you can follow when developing your next piece of smart content. Everyone that visits your website has different needs and interests. Make sure you account for that. Where are they in the buyer's journey? Show those who are first time visitors top of the funnel offers while those who are customers some product demos. People are more likely to download offers that are easily accessible and relevant to what they are looking for. Using smart content is a chance to do that, it’s a win-win situation for you and your visitor. Is your visitor a CEO of a company or a mid-level manager? Do they belong to a Fortune 500 company or a start-up? It’s important to tailor your website to the different personas that visit. A CEO of a company will be interested in different content you provide than someone who is a mid-level manager. Use smart CTAs and images based on the personas you have created relevant to your business. If your company operates in different countries, research the most common language used in that area and incorporate it in your website. It can be as small as changing the banner to that language, but it’s a nice touch to those who are in those different areas. Another way you can customize based on location is regional. Use relevant images or text the visitor can identify with. For example, a sports team where they are from or a city skyline image. Tailoring content to a customer based on their location can create a connection on a deeper level. Using name personalization the right way can be powerful. It helps your content stand out from all the information a person is bombarded with on a daily basis. When they log on to you website you can greet them by their name or send them an email addressed to them. This is a great way to engage with your subscriber, but make sure you don’t over-do it or it can come across as creepy. People don’t want to spend any more time on things than they have to, and that especially includes your website. Don’t overwhelm with too many fields that need to be filled out to download an offer because chances are the person filling out that field will go somewhere else. If you have many questions you want to ask, just give them a few at a time then when they come back the form can replace those that were already answered with new questions to ask. This way you eventually obtain all the information you would like and the visitor doesn’t feel like they are being bombarded with questions. Also if they are a customer you can create a smart CTA that allows them to get offers without filling out another form, this shows you care about them and their time. When you first enter the world of smart content it can be easy to go overboard and personalize everything possible. However, this is not a good idea. Have a valid reason for each smart content piece you put together. It’s important to not make assumptions about a visitor or come across as creepy. A good rule of thumb is to make sure each piece of smart content adds to a good user experience. What are some ways you use HubSpot smart content for your website? 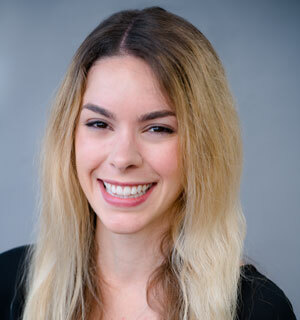 Alexa Lopresti is an Associate Consultant at SmartBug Media. With her experience in agency and B2B marketing roles, she is excited to help clients grow their business through the implementation of inbound marketing strategies. Read more articles by Alexa Lopresti.